POMARICO SILVER KLARNET BİLEZİK SETİ LIGHT. 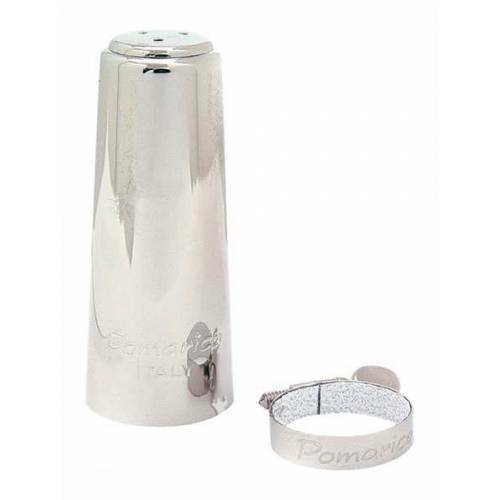 The Pomarico light clarinet ligature features a special geometric design with an inner coating that will not scratch a crystal mouthpiece. The narrow profile and single screw design will allow the reed to vibrate more freely.